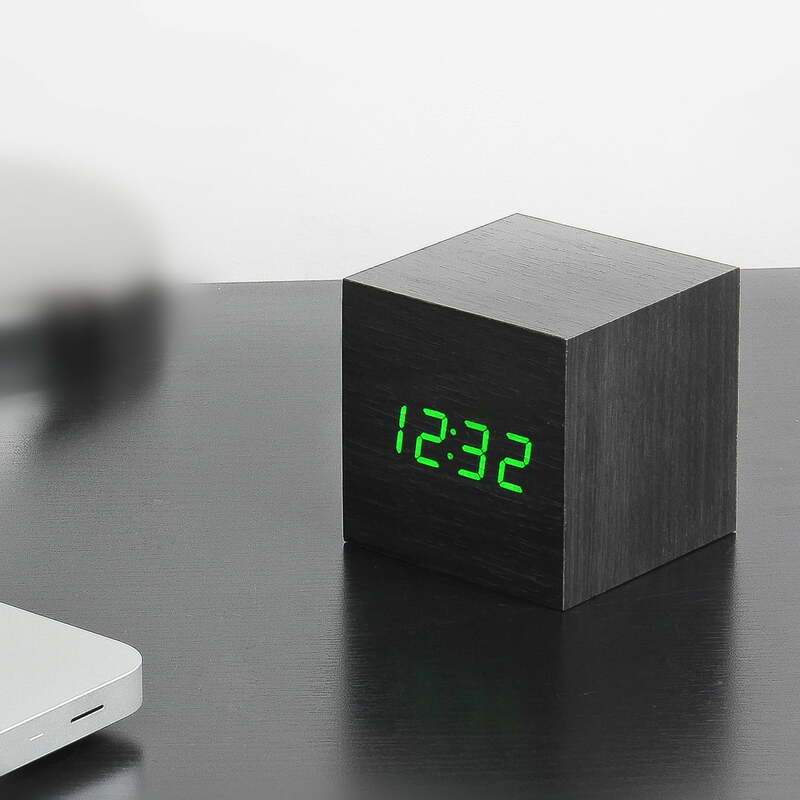 On your travels or at home: The Click Clock Cube by Gingko makes time stylish, clever and highly functional. 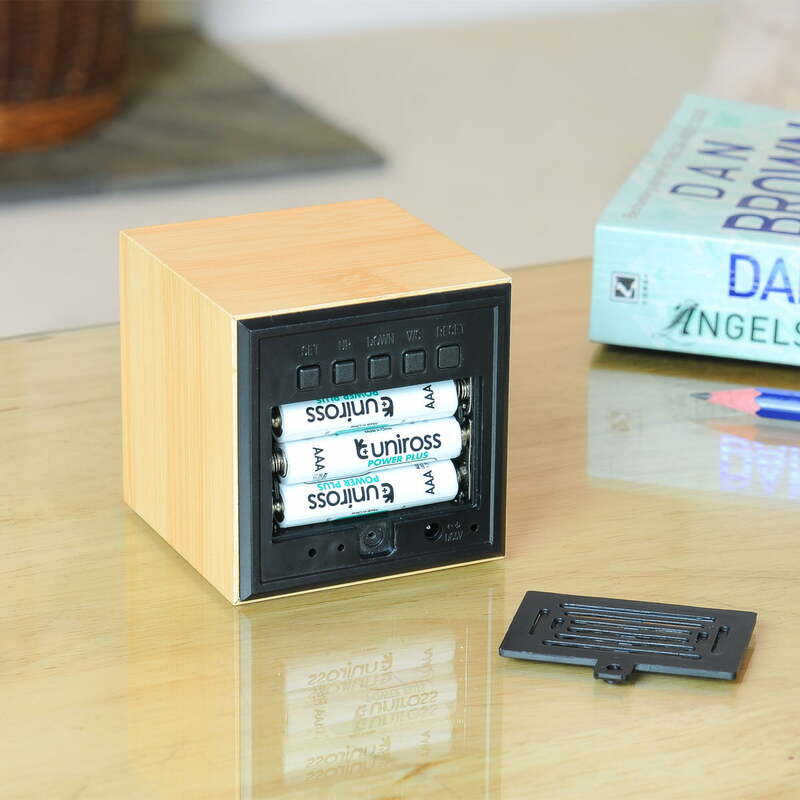 The unique wooden alarm clock not only has a design reduced to the minimum, but also many features. 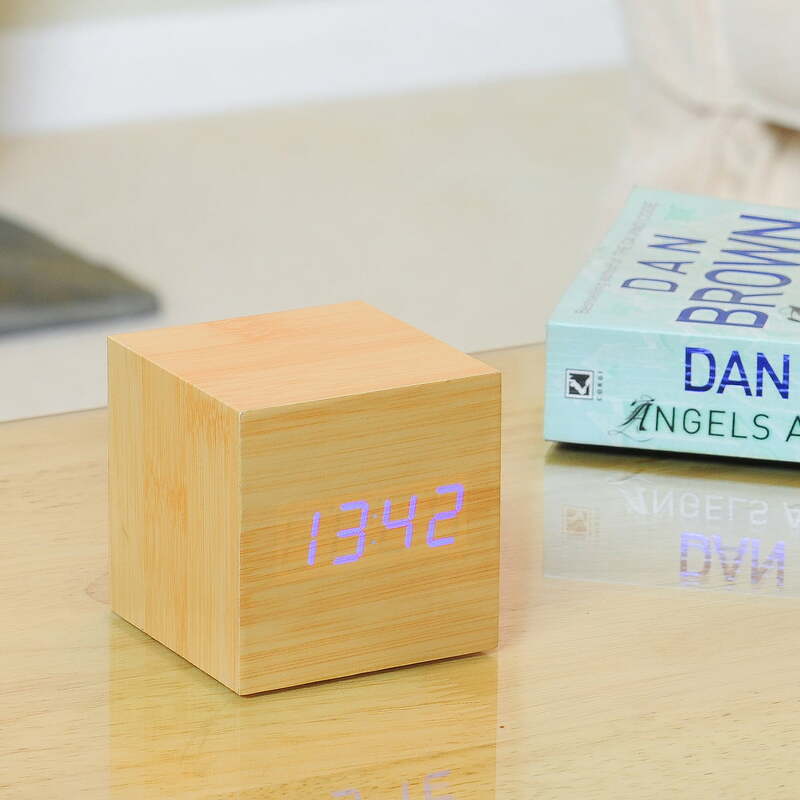 The cube alarm clock displays not just time, but also the date and temperature and does so in a completely automatic sequence. 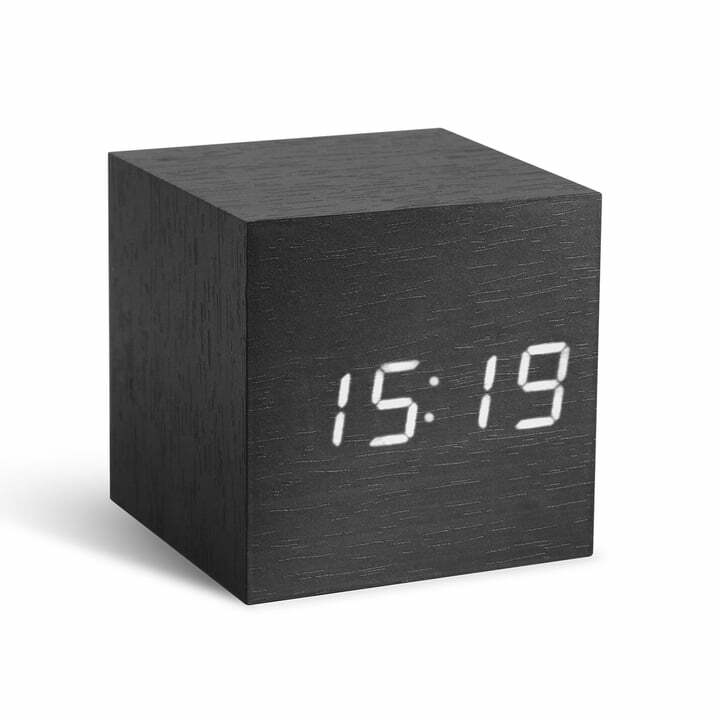 If that's too much information, the Click Clock Cube can also be set to only display the time. 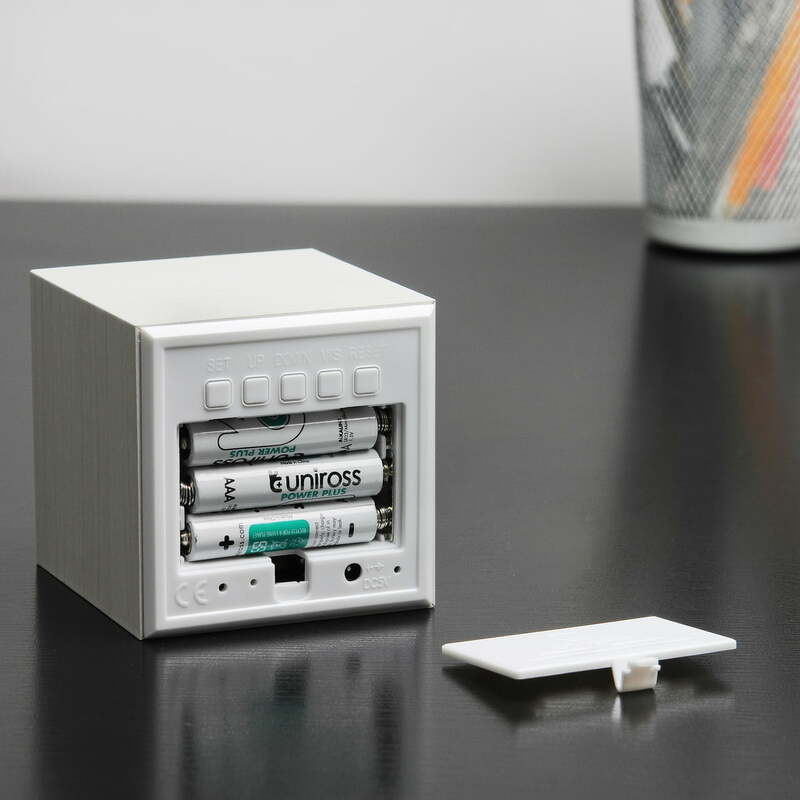 If the room is silent, the unusual alarm will switch off automatically, and it will switch back on if woken up with a snap of your fingers, a clap or a touch. 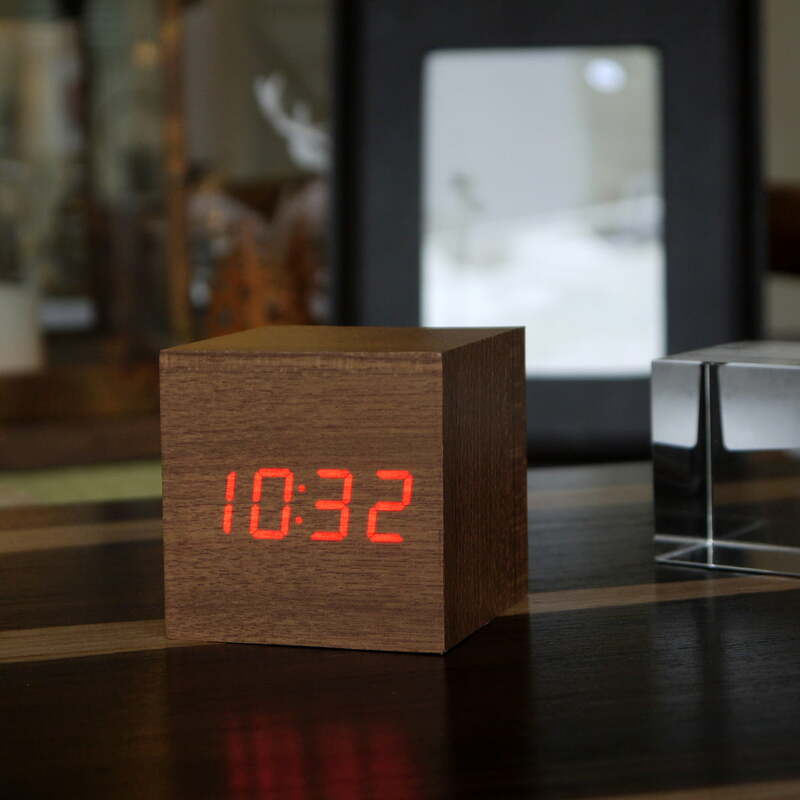 The display appears to float on the wooden surface - an exciting contrast of classic materials and state-of-the-art technology. 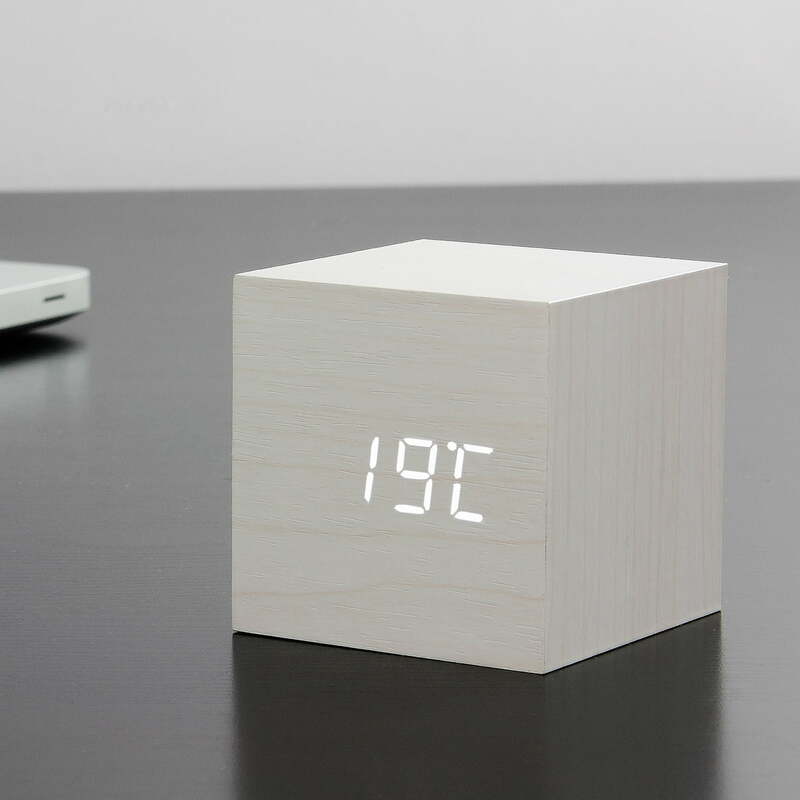 The other features of the minimalist alarm clock from the Click Clock Collection by Gingko also leave nothing to be desired: Three alarm modes (optionally only for weekdays/weekends) with snooze function as well as 12/24 hour display and temperature in °C or °F make the wooden alarm clock perfect for travelling or for the bedroom at home. 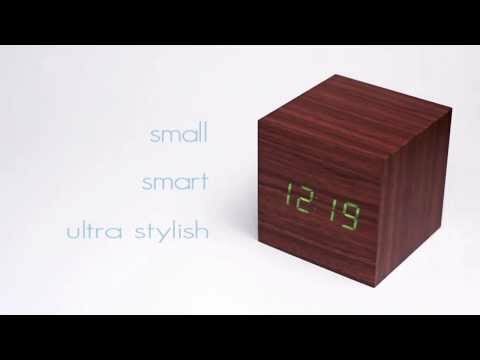 Simple but clever - the Click Clock Cube by Ginko is presented with all ist functions and features in this short video. Thanks to the many different versions, everyone can pick his favourite cube. The light that the numbers emit is too intense for the bedroom. The clock can display time, date and temp but when this option is on I cought myself "waiting" for the clock to display time. 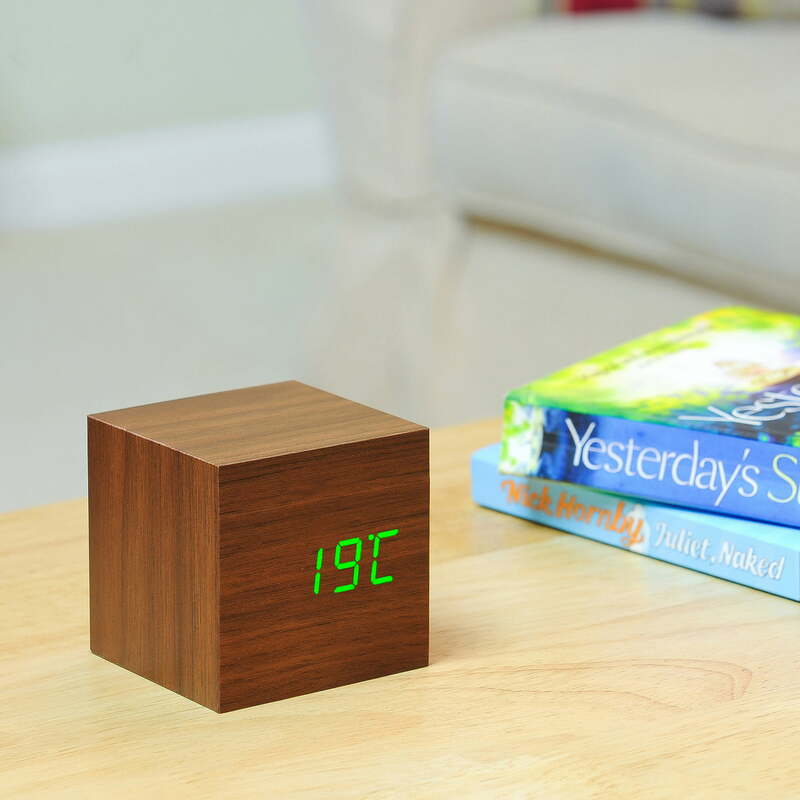 Design is nice but if we didn't need a clock for the living room I would have returned it. 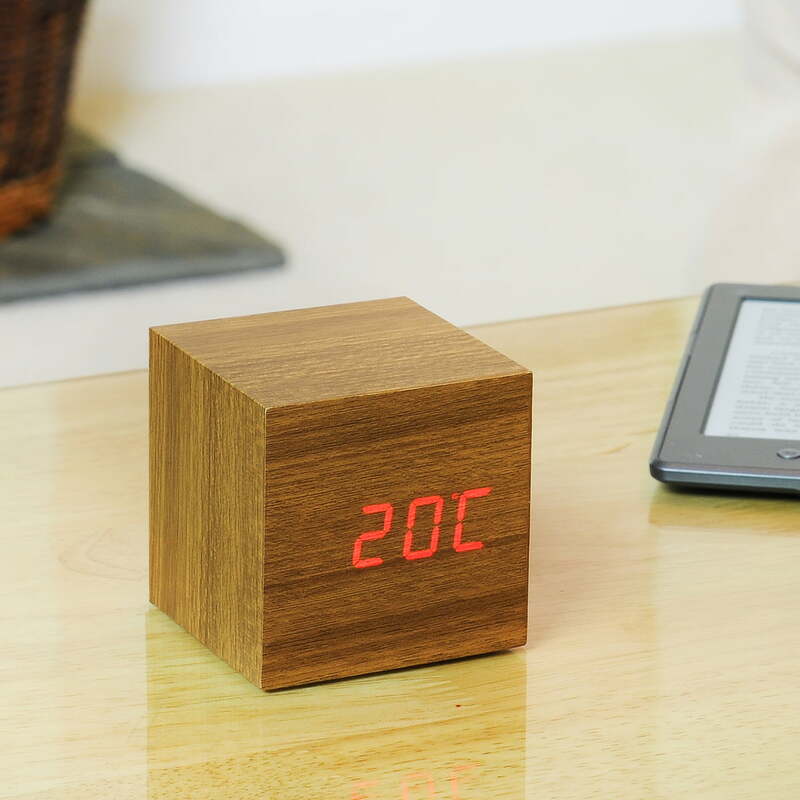 We very much appreciate your feedback regarding the Gingko - Click Clock Cube. We were sorry to hear that the clock was not suitable for your bedroom, but found a use in your living room. If you are still not convinced, don't forget that it is possible to return/exchange your item. Find the terms and conditions for returns by clicking on the following link: https://www.connox.com/help/returns-exchanges.html. Best regards.